You must make reservations at least 5 minutes in advance of the time at Cafe il Nido. Here's a city gem as hidden as a Mafioso in the witness-protection program. This courtyard patio tucked away between the Manhattan Apartments has that" La Dolce Vita" atmosphere. I would enthusiastically recommend Cafe il Nido! As always, the food was great, the service was all I could imagine it to be, and it was a good quiet place to have an important business luncheon. This is a gem of a place tucked away from the hustle and bustle on Robson street. Have been going there for 30 years and food is always excellent as is the service. The ambience is relaxed and quiet with a patio in the summer that I think one of best in Vancouver. Don’t miss this lovely restaurant. The food was absolutely delicioso. We all finished every morsel on our plates! And the Il Nido Cocktail with Skyy vodka, Limoncello and Cointreau was so delightful. You simply must experience this place for your self. Thank you, Chef Franco Felice. Nice and quiet ambiance. 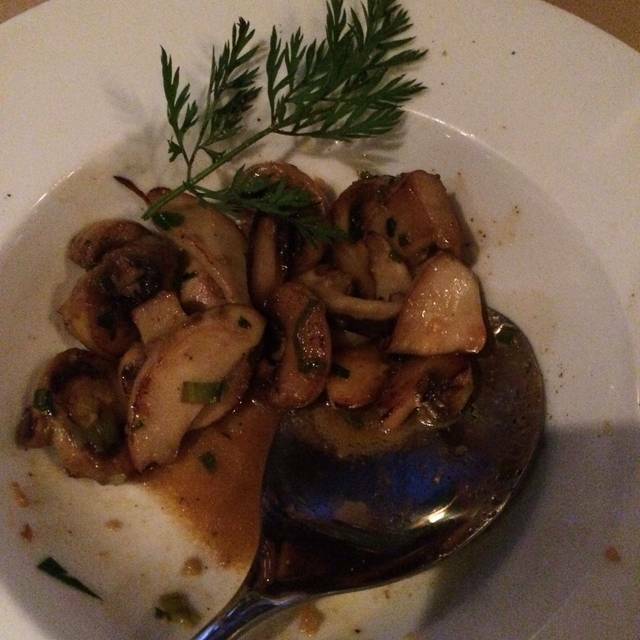 The food was excellent an the service was really great. Always a pleasure to dine there. Franco the perfect host. This a quaint little restaurant perfect for celebrating a special event or just a quiet night out without the kids. 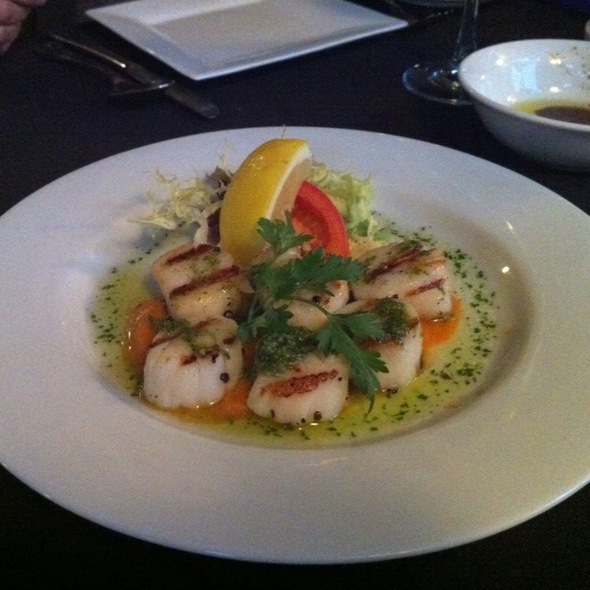 Great atmosphere fantastic food and exceptional service. lovely, quiet ambience. excellent service and nice range of menu options. Always a good stand-bye place to eat in this hidden corner. The food was good but not exceptional; the service was prompt but since only two tables were occupied at the time that's not difficult. Most annoying was the overly loud popular music; it seemed entirely out of place in an Italian restaurant. The restaurant is under rated as the location is not easy to find. The food is absolutely spectacular, very authentic Italian cousin. Will definitely come back. I always get great service here. I like to take my clients here for business lunches. Good service and great food. My Italian friends think their bolognese is impeccable. Will never ever go back again!!! Not dining at this place ever again!!! I have been to Il Nido several times and I always get a great service, the quality of the food is beyond for what you pay. This is the first time I post a review and I am doing it base on the hospitality experience I had in the past years and I get to the conclusion that people these days know nothing about food or table manners and they have the nerve to write nasty and horrible reviews, very disappointed at what people say or how behave when they go out and the way they treat the staff and they expect to be treated like royals, but you people out there that's not going to happen unless you treat the establishment and their staff with respect. Excellent. Have already recommended to friends. We will be back! Thank you Frank for a wonderful evening. Wonderful experience every time I visit Cafe Il Nido Franco, the owner is a terrific host, he is always so charm and warm, only few Italian cuisine restaurants in Vancouver are owned by italians so that is a plus for Il Nido, always attentive and discreet service with its European flare, the Dine Out menu is extensive so there's plenty of options, so for the quality of the food $45 for a three course dinner is more than a good value. Wine was good, food was fine. The restaurant didn't merit being on the $45 Dine Out list. Had a $35 experience. The Dine Out menu was huge, which made me think it was actually just their regular menu. And offering that many things on the Dine Out menu implies that there isn't any particular dish that they do extremely well. Service was a little too casual and not super friendly or warm. Decor felt dated. Nothing really modern about the place or the experience as a whole. Food was tasty but nothing sensational. Service was mediocre. Won't be rushing back as it was acceptable but not outstanding. 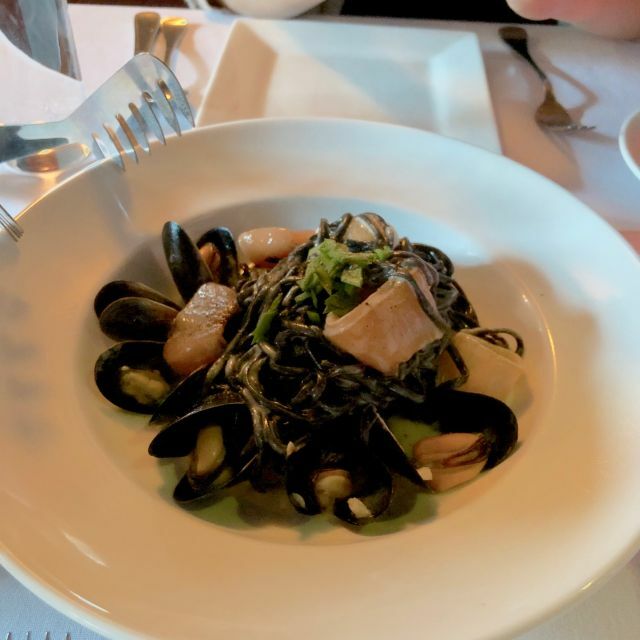 We went to Cafe Il Nido during the dine out week in Vancouver. With a 45-dollar, we were expecting a fine dining place. For info, it is the highest menu price during the dine out week (others are at $25 and $35), as an example, it is what restaurants like Bacchus (wedgewood hotel), Black & Blue, VJ's or Glowbal propose. Well, it was a huge disappointment ! For an Italian restaurant, to serve Tiramisu from the freezer and pastas that are not home made, it is ridiculous ! Now, the place itself and service are also far for regular standards in the city (and I am not talking about top notch restaurants here). I really felt ripped off! Went on a Monday night for the dine out menu. Host ( who we think may be the owner?) was flat. Not very welcoming nor did he make any recommendations. Just took our orders and that’s it. Food was ok nothing spectacular but maybe because it was dine out set menu. Most likely won’t be going back. We've been here quite a few times. Food and service is always very good to extremely good. Never had a bad meal or bad time at this restaurant. It's small and intimate - with great service. When you find the place you will be rewarded! We were greeted by the owner himself and seated at a lovely table. Service and food was excellent and one feels very welcome in this nice and stylish restaurant. A definite MUST for a start in a great evening. Thanks again! I have been a regular customer for several years and I've never had any bad experience whatsoever, on the contrary always consistent, amazing food, excellent service, European flare, and good value, nice and cosy atmosphere. It is so sad to read reviews from other diners full of hatred and criticism, it makes me rethink on whether people go out to eat and be respectful or criticise the staff and the food that they are not used to because their palate only knows of junk food. People should do their homework before deciding whether or not they can afford to dine out. Our first and last visit to this restaurant. It's a small venue, and there was a raucous birthday party with 25-30 attendees at 3 long tables, indulging in high-volume activity and speech-making. We were one of two additional parties in the restaurant and it was overwhelming. Note to owner: if you have a large party like that, you really need to close the restaurant to other bookings. But we think you know that, as you went through the motions of apologizing for the noise as we were leaving. Have to add that the food was overpriced and unspectacular, and the server highlighted in the reviews of others in this thread was true to form: not friendly at all. Sad that my first Open Table review is negative, but sadder still to have experienced that meal. We found the restaurant a little over priced especially the wine list. The ambience could also be imroved. Amazing food, but the ambiance and service was only okay. The dishes were all excellent, and nothing we ordered was anything but great. Our server was quite off putting though, starting with her reaction to our drink choices. No one in our group was a big drinker, and we didn't order any wine. Our server responded with an "uh, okay" that made it clear we rated slightly below pond scum for our beverage choices. She was as charmless for the rest of our meal. The owner seemed to see this happening and tried to follow up with more gracious service personally, but the mood was awkward, and we felt unwelcome. Excellent food, great service. 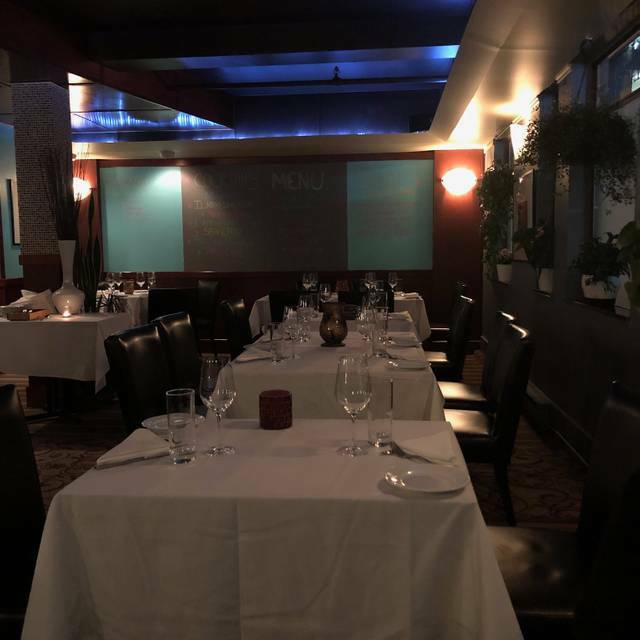 A good spot for a special occasion or just good Italian food. We were there on a VERY quiet Wednesday night. We shared the mussels appetizer which was delicious. We each had a nice salad and various pasta dishes, all very good. Delicious desserts too! A nice relaxing evening with good food and good service. This place is tucked away from the street in the courtyard of an older apartment building ..... you have to look for it! Fantastic place to dine! As usual. Thank you. An established icon, both the restaurant and the owner. Good menu variety and willing to be flexible as to portions and preparation methodology. Very pleasant environment. Excelente food and service. Suggested to a friend for celebratio6. This was the worst experience we had dining at il Nino. We had our two children with us who behaved perfectly throughout the meal. The hosts were obviously not happy with the fact that we brought kids with us for this birthday celebration. Minimal service was given. Waiters were rude. Food was still excellent but the only thing wanted was to get out of the place. Luckily sitting beside us were two lovely ladies. They made our dinner somewhat bearable. Will not return to this place for future celebration. My husband and I dined here for our 10th Anniversary dinner. 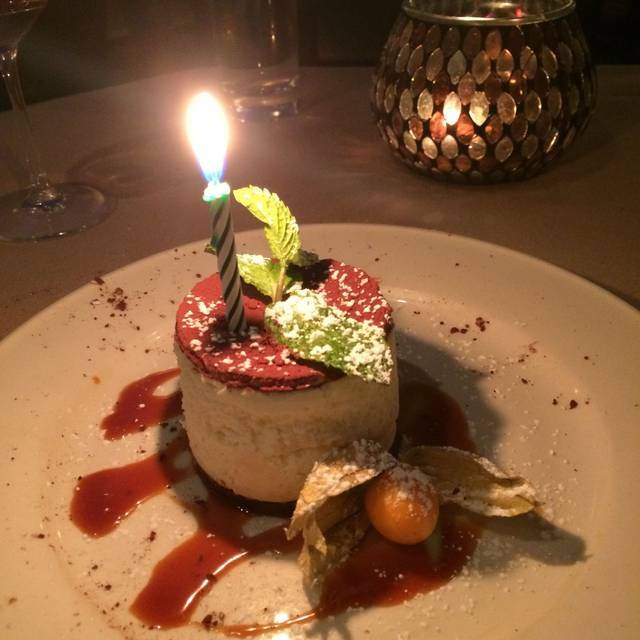 The food was amazing, the wine list had a great selection, the ambiance was lovely and the service was impeccable! We found the service and Food was great! Great wine list. Our server had a very unwelcoming demeanor. She barely smiled and did not appear to be friendly. While the service speed was adequate and the food was decent, I would hesitate to return to this restaurant.